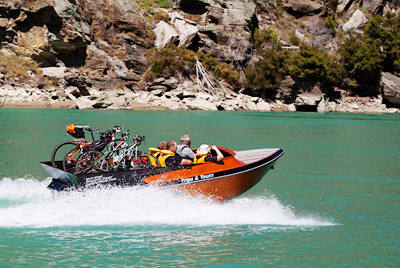 The Tour begins with a short introduction of some local history after which we travel upstream beneath the historic Beaumont Bridge through breath taking white water shoots, rocky outcrops, shallows and experience the famous Hamilton Jet Spins along the way to the Native Island. 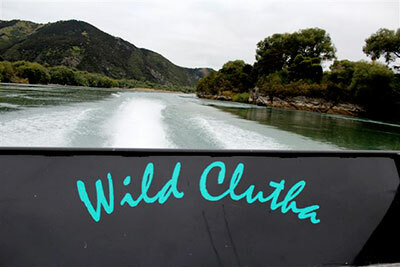 Take a rest and relax while your driver gives you some insight into the importance of this part of the river to the early Maori and view close up, White Terns, Black Backed Gulls in nesting season (November – March). There are also an abundance of ducks and Black Shags among others, maybe even catch a glimpse of a Brown or Rainbow Trout. Tour Rates: $110 per person. Birch Island (or Moanui) is part of a special conservation reserve of mixed Podocarp / Beech Forest, the only place on the river still lined with large Native Bush and a home of rare birds and insects in the Rongahere Gorge. 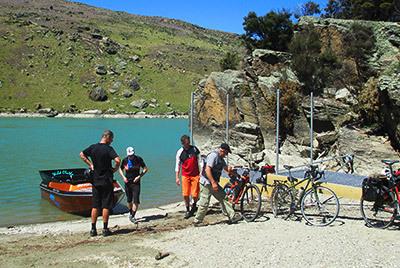 Carrying 8 passengers and 8 bikes plus the added bonus of soaking up the atmosphere and sites of this very special part of the Clutha River between Alexandra and Roxburgh. 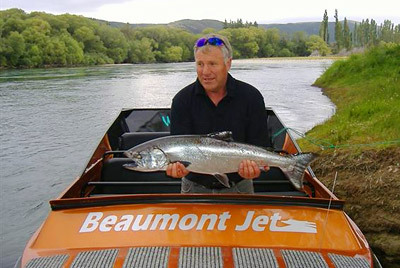 Customised to suit your needs carrying 10 passengers. We provide large grounds, toilet facilities and friendly hospitality. 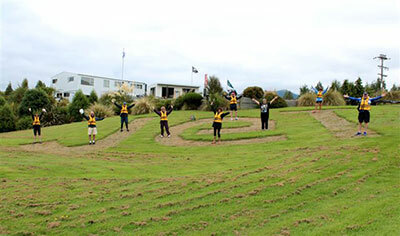 Large groups – more than welcome.